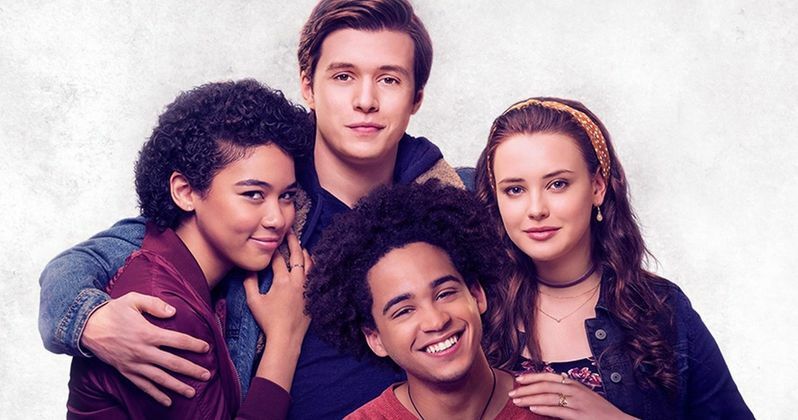 A Love, Simon TV series is in the works at Disney+. The upcoming streaming platform is really starting to spread its wings and attempting to compete with Netflix, Hulu, and Amazon. Right out of the gate, they have all of their own original material, including iconic animated movies, and now they have access to Fox's archives too, which is where the Love, Simon TV series comes from. The original movie, released in 2018 by Fox 2000, was notable for being the first movie focusing on gay teenage romance released by a major studio. Greg Berlanti serves as director on Love, Simon but he will not be a part of the new series due to his exclusive contract with Warner Bros. Television. However, original screenwriters Elizabeth Berger and Isaac Aptaker are serving as showrunners on the new series. The show will include a new cast and is based on Becky Albertalli's book Leah on the Offbeat, her sequel to Love, Simon. It isn't clear who will be taking on the new roles at this time, but Disney has been moving pretty fast to get their original content ready. Love, Simon was a critical hit and proved to be a box office success at the same time. The movie grossed over $66 million globally from an initial budget of $17 million. Critics praised the movie for its talented and diverse cast and compared it to a John Hughes movie from the 1980s. A Love, Simon TV series is pretty big news, but it will be interesting to see how it is received with a new cast and director behind the camera. Regardless, fans of the original movie will more than likely be pretty happy to see the story continue. 2018's Leah on the Offbeat puts the focus on Leah, one of Simon's best friends, as she handles subjects including "friendships, relationships, body image, sexuality, self-esteem, college, and feeling like an outsider." Disney has yet to comment on the new series, but a formal release should be coming down in the near future, along with some casting information too. Until then, Disney+ has a lot of original comment on the way to start the streaming platform off in a healthy manner. Disney+ is expected to debut in November with the live-action Star Wars series The Mandalorian. Additionally, the studio is developing several Marvel Studios projects, including a Hawkeye series, which was just announced. The studio is also getting into unscripted reality-based programming, including a Marvel docuseries called Marvel's 616 and then another show which focuses on young people making a difference in their community, which is called Marvel's Hero Project. In addition, a High School Musical TV series, Book of Enchantment, and Diary of a Female President are all on the way to Disney+. The Hollywood Reporter was the first to announce the Love, Simon TV series on Disney+.